An all-party delegation from the Assam Legislative Assembly will visit the areas affected by the hooch tragedy in Golaghat and Jorhat districts of Assam soon. The death toll due to consumption of spurious liquor by people in Golaghat and Jorhat districts climbed to 155. 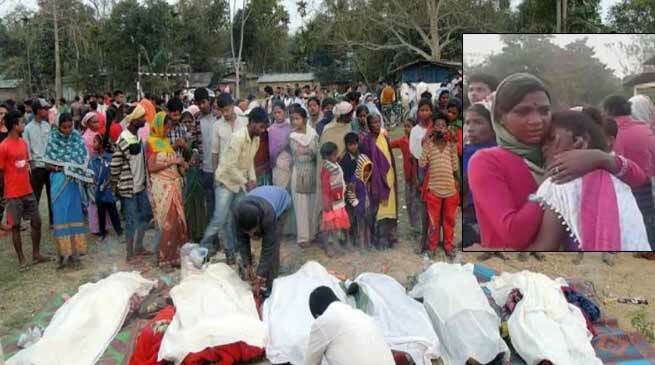 The death toll stood at 95 in Golaghat district, while another 97 are undergoing treatment. In Jorhat district, the number of people who have died after consuming spurious liquor was 60, while another 171 are undergoing treatment at hospitals. A total of 34 people have been arrested for their involvement in the case, including 26 in Golaghat district and eight in Jorhat district. Besides, the excise department has destroyed 52,000 litres of country-made liquor in Golaghat district and another 24,000 litres in Jorhat district during last three-four days, informed Chandra Mohan Patwary, Minister Parliamentary Affairs. Three cases have been registered in Golaghat police station and another two at Borholla police station in Jorhat district in this regard,” he said, adding, among those nabbed in the Borholla incident are Jitu Sonowal, the main supplier of the spurious liquor, and his associate Sunil Baruah. The forensic team has collected the samples of the spurious liquor and checking is on to ensure that the toxic item has not been sent to any other place. “The government has already ordered an inquiry into the incident and the guilty will be given exemplary punishment,” the minister said.